Many would-be investors are worried. They know they should start to invest. Stocks are near an all-time high. U.S. government debt keeps climbing. Nobody wants to begin investing right before a crash. History reminds us that falling stocks can hurt. From March 31, 2000 until September 30, 2002, the S&P 500 went into a steep dive. Stocks fell even further between September 30, 2007 and March 31, 2009. The index plummeted 45.8 percent. Nobody knows when the next crash will come. But if you haven’t started an investment portfolio, there’s no better time than now. Today isn’t a special date in history. But you’ll never be younger than you are right now. 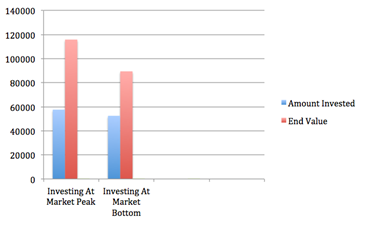 The best time to invest is as soon as you have the money. Let’s slay the myth that there’s a better time to start. Imagine that you started to invest at one of history’s worst possible times: March 31, 2000. The market was at an all-time peak. You put 20 percent of your proceeds into Vanguard’s Total Bond Market Index, 40 percent in Vanguard’s Total International Stock Market Index and 40 percent in the S&P 500. You added $300 a month and rebalanced your portfolio once a year..
Over the following 18 months, stocks fell 43.8 percent. If you had kept your head and continued to add $300 a month, you would have eventually made a lot of money. You can reinvest those dividends to buy more shares. Those new shares also pay dividends. When reinvested, those dividends purchased even more shares. Time is a rolling snowball when money can compound. By April 1, 2016, your $300 per month would have totalled $57,600 in overall contributions. With reinvested dividends, that money would have grown to $115,840. That’s a compound annual growth rate of 6.22 percent per year. Thinking you have an edge, you wait until September 30, 2002 before you start to invest your $300 a month. By April 1, 2016, you would have added $52,500. The money would have grown to $89,447. That’s a compound annual growth rate of 6.39 percent per year. If you had started to invest earlier (even at the market’s peak) you would have added $5,100 more from your salary. But you would have ended up $26,393 wealthier than someone who had waited and invested at the bottom. 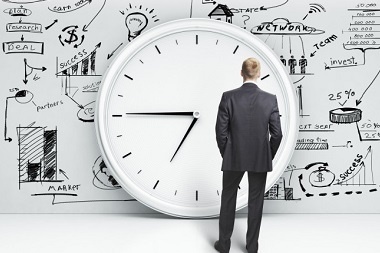 Smart investors know that maximizing the amount of time in the market is the most important part. Trying to time the market (even if you could) is a wealth-destroying distraction. Joey adds $300 a month to a diversified portfolio of index funds (the same portfolio as above) beginning on September 30, 2007. This was the market’s peak before the financial crisis cut 45.8 percent from the S&P 500. Stocks bottomed out on March 31, 2009. Joey would have invested a total of $30,900. By April 1, 2016, his money would have grown to $44,727. That’s a compound annual return of 6.09 percent. If Joey’s friend Timmy had a working crystal ball, he might have waited to begin his investing at the market’s bottom, on March 31, 2009. By April 1, 2016, he would have added a total of $25,200. It would have grown to $32,344 for a compound annual return of 6.76 percent. But time, rather than timing, is an investor’s greatest friend. 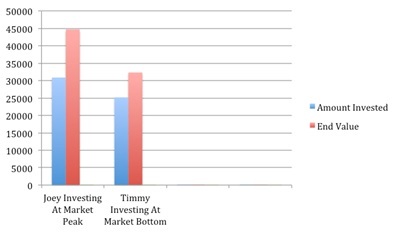 Despite starting to invest at the market’s peak, Joey would have made more money than Timmy, who began to invest later at the market’s lowest point. Joey would have invested $5,700 more than Timmy. But by April 2016, Joey would have been $12,383 richer. Some investors wonder whether the same rule applies for lump sum investing. Should you invest a lump sum all at once or add periodic sums to your portfolio over time? For the best odds of success, the same rule ALWAYS applies. 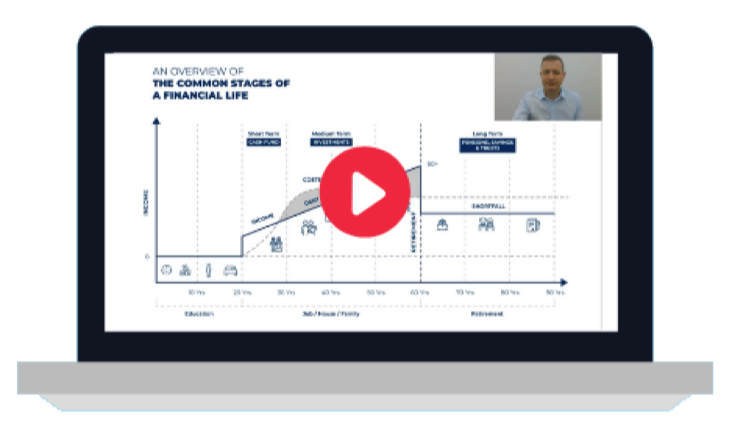 Thanks to Andrew Hallam, the author of this blog, originally titled “Could You Be Investing At The Worst Possible Time?”. Andrew Hallam is a Digital Nomad. 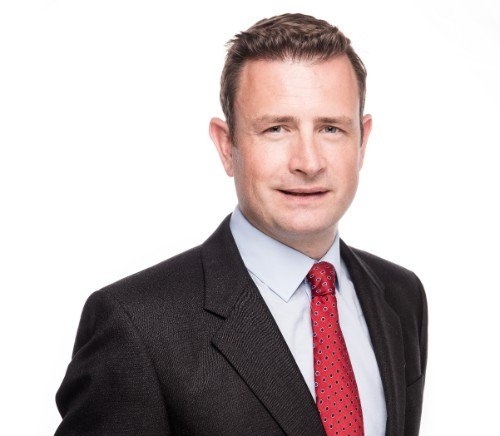 He’s the author of the bestseller, Millionaire Teacher and The Global Expatriate's Guide to Investing: From Millionaire Teacher to Millionaire Expat.